This recipe is adapted from Martha Stewart's No Bake Peanut Butter Rice Krispies Cookies. Instead of using Peanut Butter I used White Chocolate Wonderful. 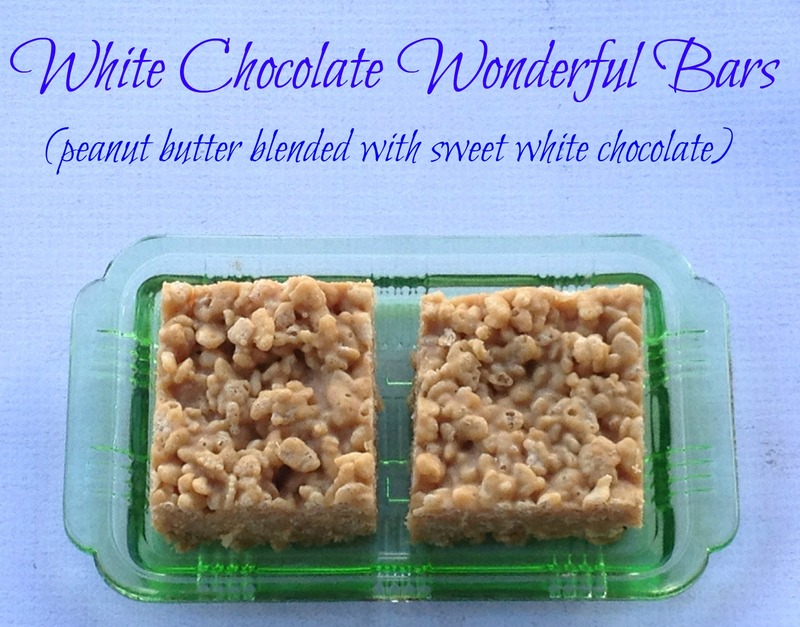 You can buy White Chocolate Wonderful in with the peanut butter in your favorite grocery store. These cookies were sweet, crunch and peanut buttery. Place corn syrup and sugars in large sauce pan over medium heat and stir to combine. Bring to a boil and remove from heat. Stir in the white chocolate wonderful and mix until well combined. Quickly stir in the vanilla and Rice Krispies. Spread into a greased 9 x 13 pan. Cool and slice into squares.